Thank you to the many readers who, prompted by my plea, sent in wildlife photos yesterday. Remember, though: I can always use more. 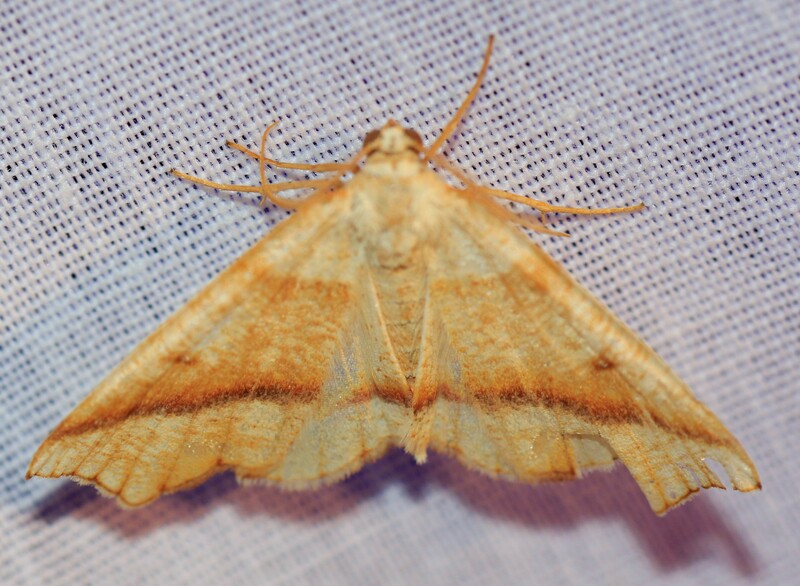 We’re putting up today some lovely U.S. moth photos by Paul Doerder. The notes and IDs, indented, are his. 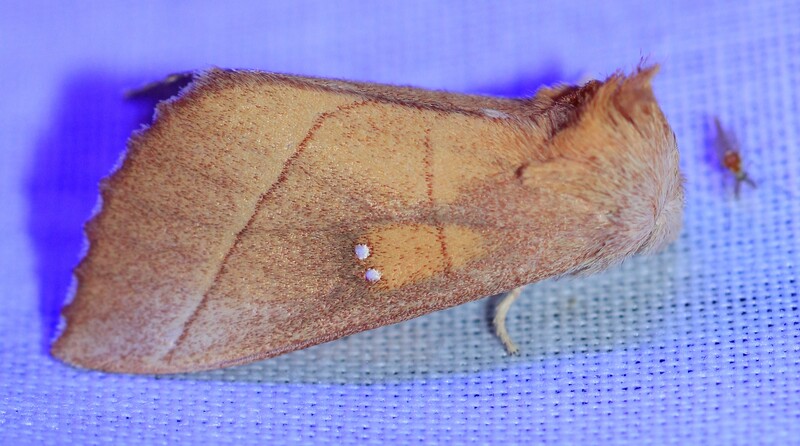 Note that “mothing” is now a verb. 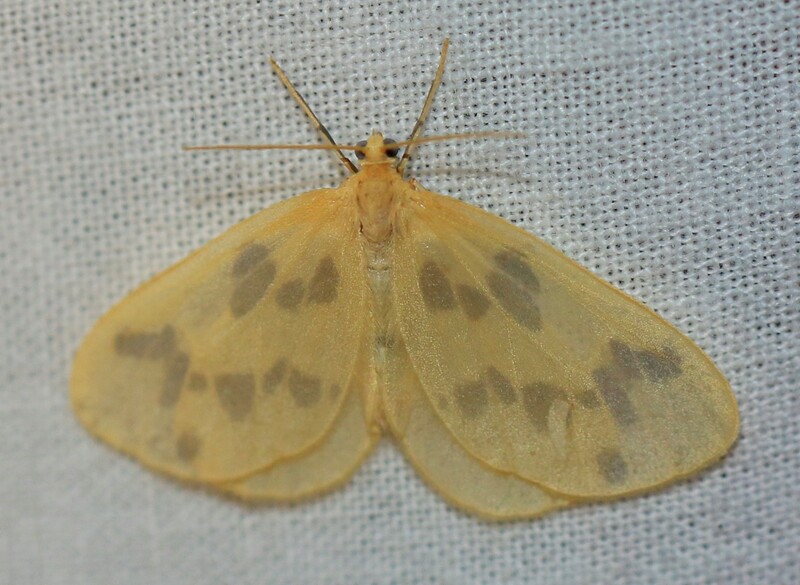 You posted some of my moth photos some time ago, and I’ve been meaning to send some more, but it seems this year the mothing itself got in the way. 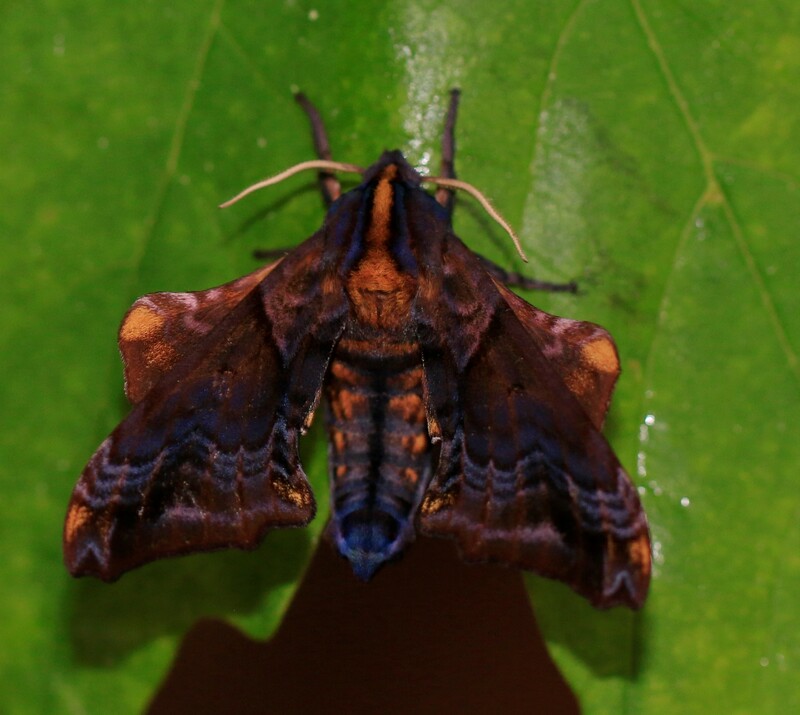 I started in the early spring, setting up a sheet and UV light sources (mercury vapor and LEDs), and going out after dark to see what was attracted. Though I haven’t counted, I probably mothed over two dozen nights, took well over 10,000 photos, and spent many days with the Petersen field guide. It’s become a favorite hobby at our Holmes County cabin, and this season alone I’ve identified nearly 200 species, with many more photos to go. I find the variety, even in the drab ones, fascinating, trying to imagine the background on which they hide. 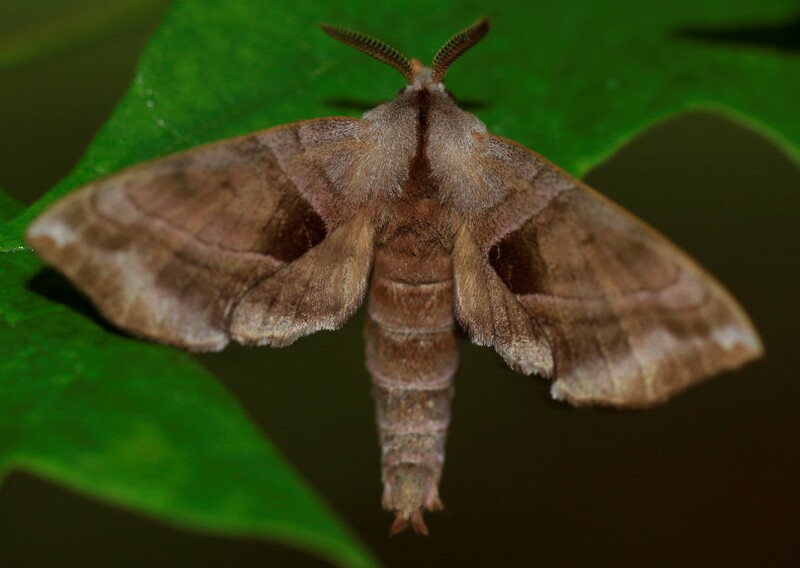 Typically, I’d visit the sheet 3-4 times a night, and to increase the probability of a photo decent enough for species identification, I’d take 10-15 photos of a single moth (digital is cheap). While some species stayed at the sheet all night, others were transitory, present say at 10:00 pm and absent at 2:00 am and vice versa. Moonless, windless nights were best, and successive nights often brought more than one new species. At sunrise, I’d turn off the lights and shake the sheet to release the moths, particularly as an Eastern Phoebe (Sayornis phoebe) found them easy prey. Here are 9 of many pictures taken between May 25 and June 1, 2018. 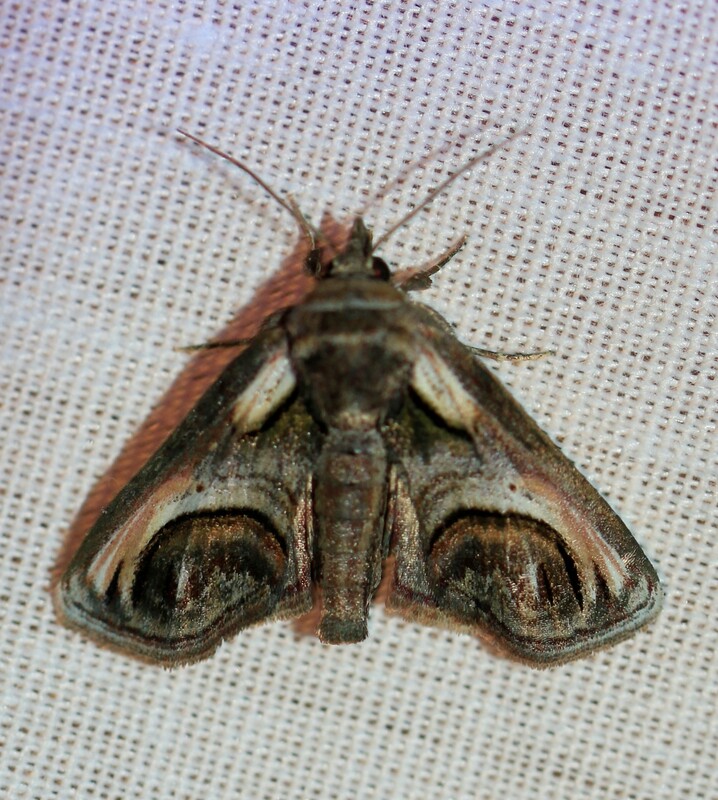 Except for the two sphinx species, none are particularly large. I hope to send more, along with pics of some of the other insects that visited the lights. This entry was written by whyevolutionistrue and posted on October 26, 2018 at 7:45 am and filed under insects, photography. Bookmark the permalink. Follow any comments here with the RSS feed for this post. Both comments and trackbacks are currently closed. Beautiful creatures. I especially like Cerma cerintha – the bird dropping. Lovely stuff! 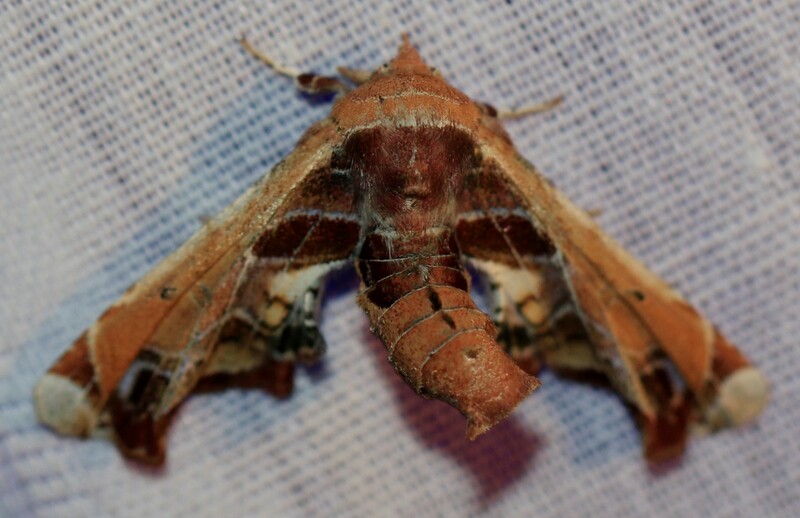 In particular I have always been fascinated by sphinx moths. ‘Herping’ has been a verb forever (even has a Wikipedia entry). 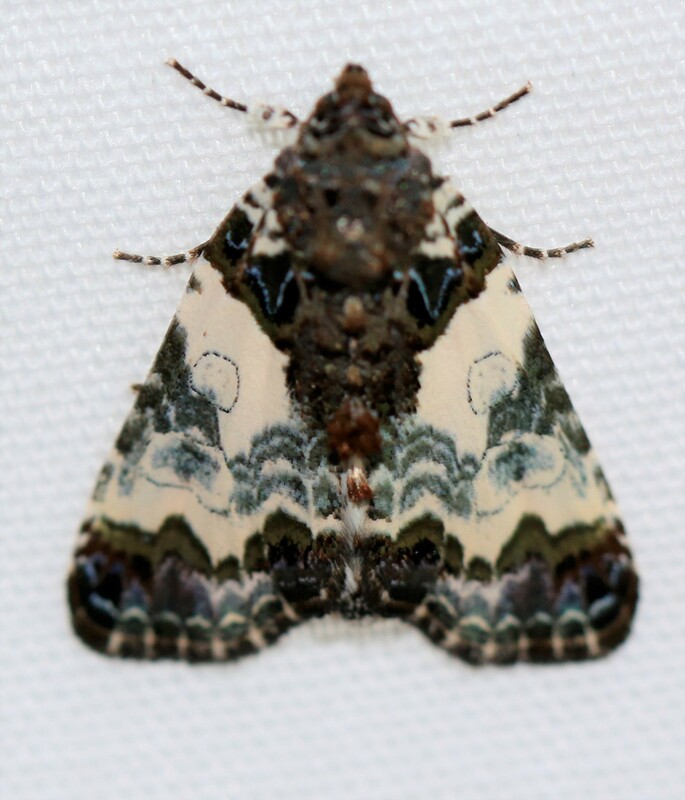 Nice moths, and love the names. “Tufted Bird-dropping”! 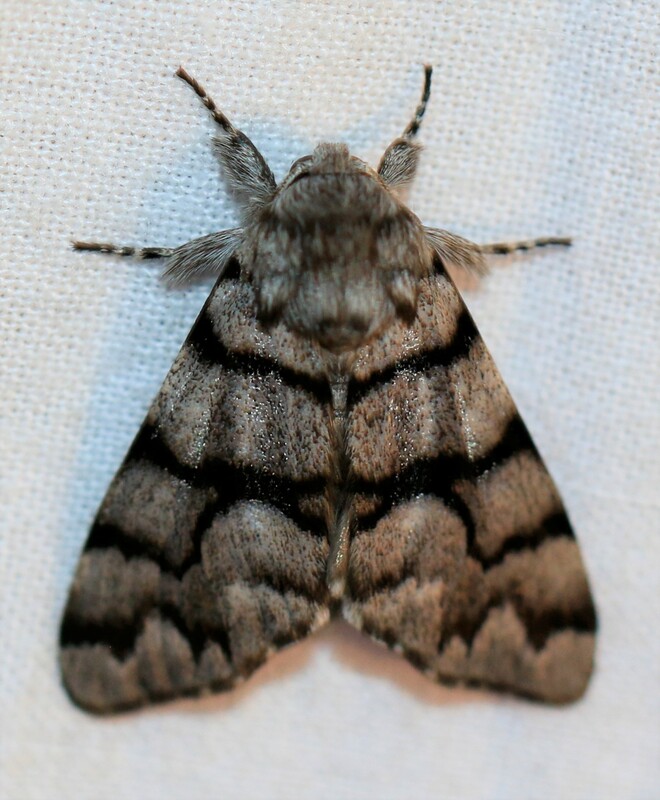 If the context is unclear it can sometimes be difficult to know whether one is reading about someone who is the maternal relative of a person or about a nocturnal lepidopterist! Sounds like a cool set-up. Are any other insects attracted to your sheet? My fave is “The Beggar”…such delicate pastel colors. To use common names, visitors include midges, caddisflies, dobson flies, mayflies and crane flies. Also, a few beetles, some true bugs and an occasional wasp. Mantis flies (a type of lacewing that resembles a mantis) and katydids came in relative abundance in late summer. Also a variety of arachnids. Fortunately, very few mosquitoes. Great hobby, fascinating diversity, hope you’ll keep contributing pics! Do spiders and other predators come to your light traps? I get mesmerized by the biota around my driveway light every night when I take out the dogs. Orb weavers have set up shop all around the area and I frequently find toads, gray tree frogs, spring peepers, and chorus frogs on the siding or the ground below. Yes, a wolf spider has a web on the deck where I frequently set up. If I set up on the ground, I’ve had toads, bats, and, in the morning, phoebes, wrens and other birds. It’s fun! Very good! And such variety. I would recommend that you check out this macrophotography web site: https://www.uglyhedgehog.com/s-102-1.html , perhaps just to see what the various characters there are posting, and maybe to share your pictures. I post things there when I can spare a moment. They would be very interested in seeing these, and you would fit right in.